None of this is to say that the lawn isn't itself produced or that it somehow pre-exists the capitalist economy of its creation. 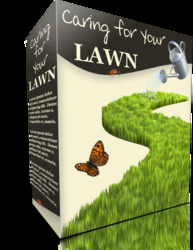 Nevertheless, the lawn itself has independent power in the process of producing that economy, its constituent agents, and the ideas of those agents. It is not the prime mover of such a system, but it is an essential part. It has its own interests too, mediated by the structured flows of fertilizer, water, and pesticides in the urban infrastructure where it is resident. This role, previously only assigned to social actors and institutions (policemen, courts, offices, families), must be extended to the nonhuman if there is any hope of resisting and dismantling the political economies of nature in which we are so tightly bound. This approach to the lawn, we would further argue therefore, holds epistemological implications for a far wider problem in political ecological explanation. How do objects matter in a world where culture mediates our experience of objects? 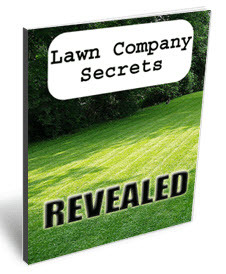 How can the lawn matter independently of its own construction? To date, soft answers have been given to this problem. Objects are part of political actor-networks, it has for example previously been suggested (Robbins 2004). The lawn, the chemical company, and the consumer, together stabilize a regime of reality that is mutually reinforcing, and mutually constitutive. To put in question these distinctions, and the assumptions about agency and history they make possible, does not mean introducing a limitless number of actors and networks, all of which are somehow of equal significance and power. Rather it means making the issue of power and agency a question, instead of an answer known in advance. We have not argued here, therefore, that turfgrass exists outside of our categorical understanding or our social imagination of "lawn" per se. Nor have we argued that turfgrass has a monopoly on the power to call the subject into being. Nor have we argued that turfgrass acts prior to, or outside of, the capitalist forces of production we have so exhaustively detailed here. "Ideas and technology did not precede this mixture as pure forms of thought brought to bear on the messy world of reality. They emerged from the mixture and were manufactured in the processes themselves" (Mitchell 2002:52). Instead we have asserted, also following Timothy Mitchell, that nature speaks. It does so we suggest by hailing into existence specific kinds of human subjects, whose system of material ideological practices have ecological consequences as well as causes. To examine this flow of power and chemicals is to begin to shed light on the active role of natural objects in capitalized ecosystems. This network of power, between capital, community, and turf creates a flow not only of value, but of chemical externalities that are quite simply bad for children, wildlife, and other living things. Only once we recognize the chemical user as subjected, therefore, can we unimagine the ideological formations that make it possible. In this way the lawn is in no way unique. To examine this flow of power and chemicals is to shed light on the active role of all kinds of subject-producing objects. Light switches, birds, filing cabinets, bacteria, trees, swimming pools, coyotes, and ATMs, all act to produce the subject we recognize as ourselves, as we live out our "joint lives", things and people together, locked in mutually constituted identities (Haraway 2003:16-17). And while human actors obey socioeconomic institutions and while they are in turn enmeshed in an economy driven by a massive industry, itself in a state of crisis and consolidation, as is so evident from ever-hungry turfgrass, it is the demands of objects that set the pace and character of subjected community lives. People's behaviours are tied to the exigencies of capitalist power, to be sure, but with the localized experience of neighbourhood objects holding independent, prior, and often ultimate authority. An urban political ecology with any hope of political and explanatory efficacy must begin precisely from here, therefore, through the documentation of the Teachings, "prehensions", or "graspings", following Haraway (2003:6), of objects and subjects into one another, each created through its interaction with the other. Political ecology must acknowledge the agency of nature as well as its socially constructed character. It must recognize the consciousness of human subjects even while recognizing its constitution by the non-human. Unthinking the pervasive and expanding hazards of urban life, like the North American lawn, requires respecting the power of not only distant multi-national capital, therefore, but also of the intimate odds and ends of daily life. It means understanding ourselves in the myriad objects of the world around us.